After crossing the border with no meat or produce on board our first order of business was to stock the rig for our trip down the 1000 miles of the peninsula. 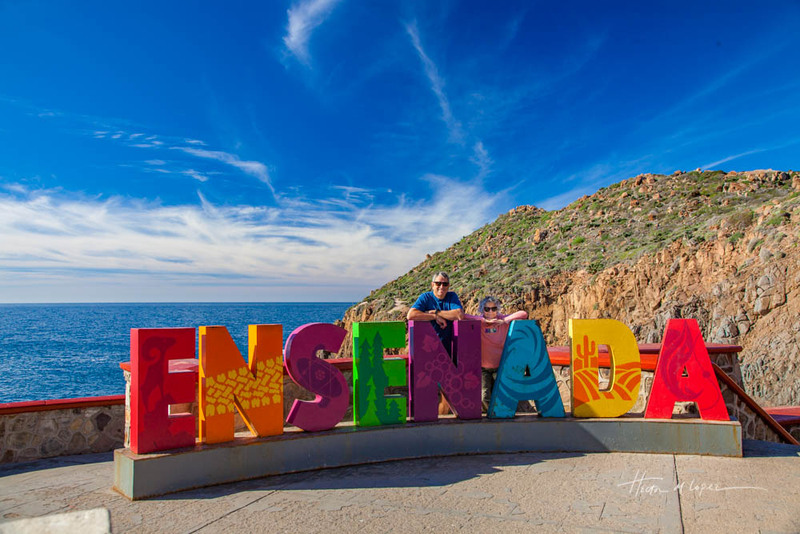 Ensenada is a good sized city and the biggest until we reach La Paz, our planned turnaround point. 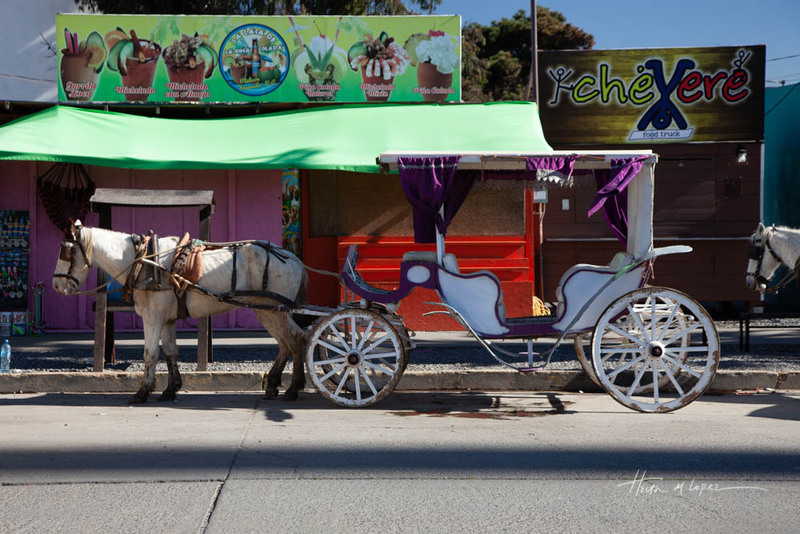 From Tecate to Ensenada you travel down Mex Hwy 3 through La Ruta del Vino, a beautiful wine region of Mexico. We might spend a night or two on the way back and sample some wines. But for now we are headed south. 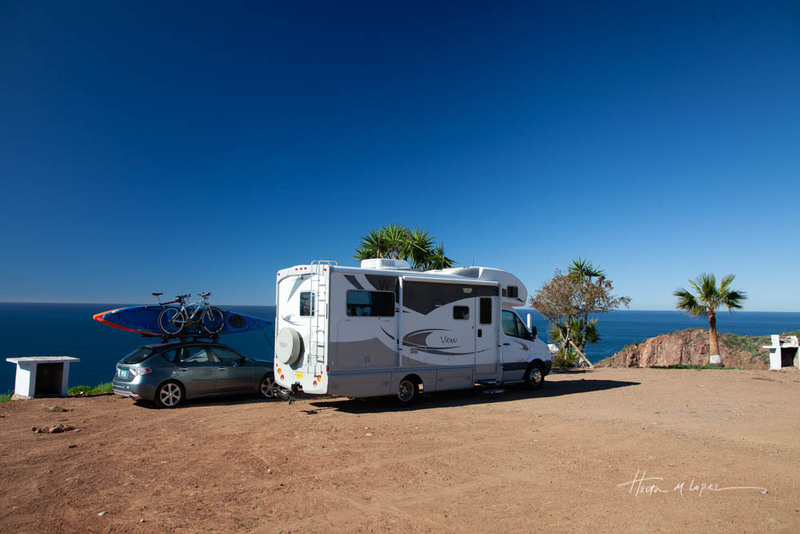 We camped about 40 minutes south of central Ensenada near an interesting little tourist trap. A blowhole called “La Bufadora” where the ocean swells create a big whoosh thru a feature in the rocks. But the real reason we camped there was the views. Campo #5 is set high on a cliff with killer pacific views, a perfect way to get in the Baja mood while taking care of business. No facilities here, just dry camping in an awesome spot for very little moola. Check out our review here. 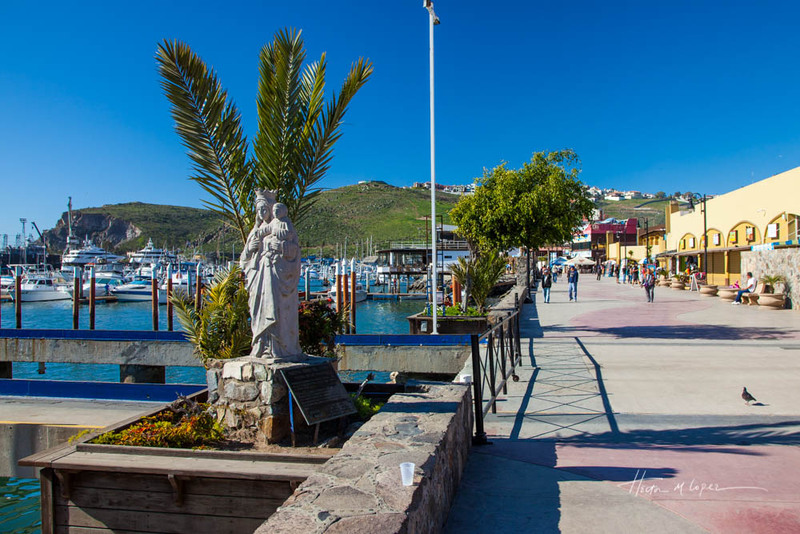 Ensenada has a nice waterfront Malecon and all the resources one might need. That and some great seafood for good measure. 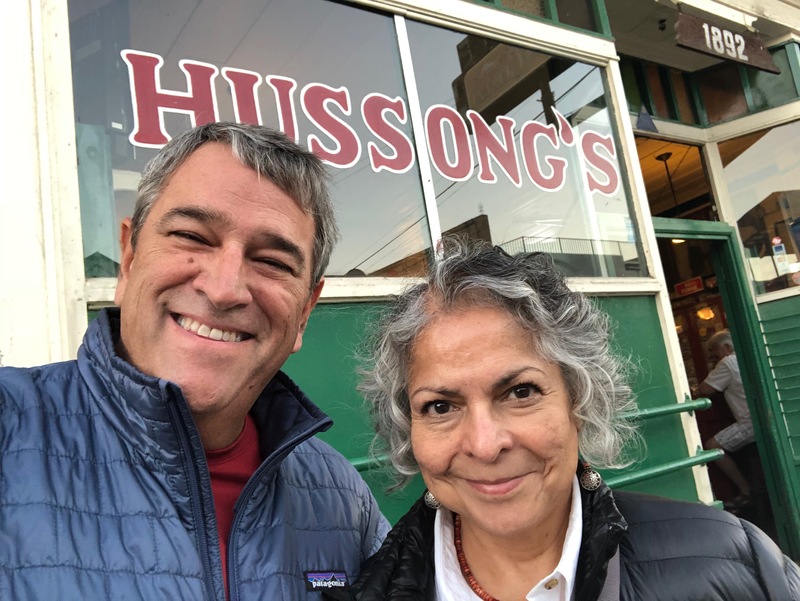 We visited here briefly a few years ago with our dear friends Michael and Gloria who live in San Diego and had a wonderful time so we were happy to be back. We went back to the amazing seafood market where there are some serious overachievers in displaying the shrimp for sale. Some came home with us. 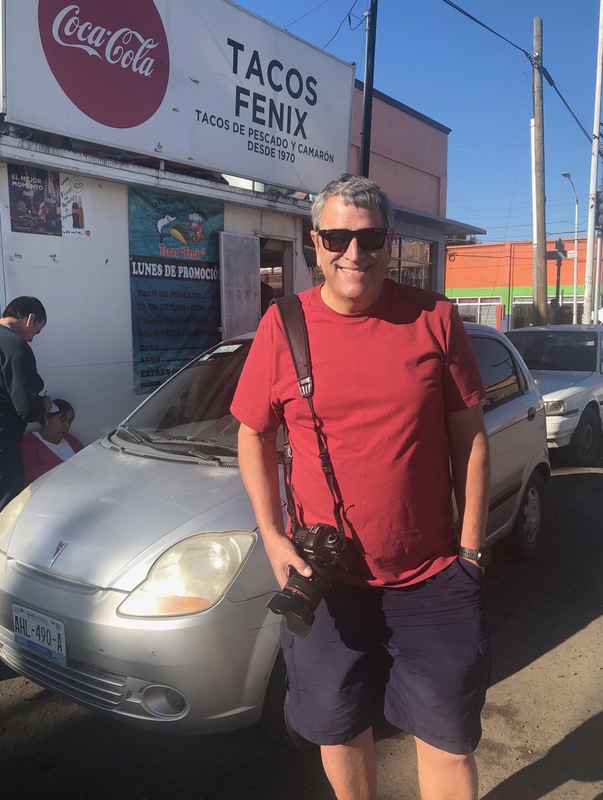 We enjoyed our walk along the malecon and then went to eat our first of what will surely be many fish tacos at the famous and long established Tacos Fenix taco stand, around since 1970 and recommended by the late Anthony Bourdain (sigh). Yummy and cheap, perfecto! Then a big grocery shopping outing at the modern supermarket next to the Costco. 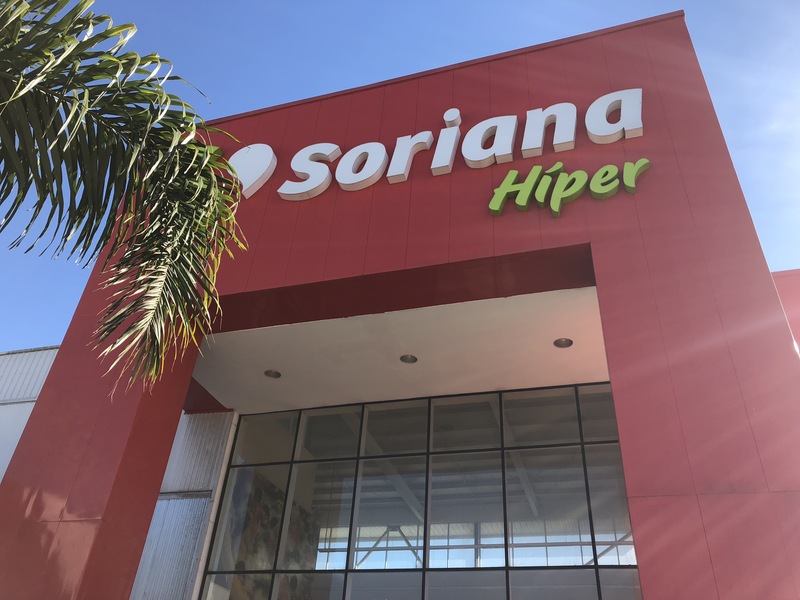 The central section of Baja is VERY remote with limited supplies so careful shopping at this last town of significance for a long while is important. Shopping complete we had worked up a thirst and we went for a margarita at an Ensenada institution, Hussong’s Cantina, established as a stage coach stop in 1892, it is one of several establishments that lay claim to having been the inventor of the popular tequila drink, the Margarita. As this version of the story goes, in 1941 the German Ambassador to Mexico’s daughter came in just the barman was experimenting with a new mix of tequila, lime and Damiana liquor. 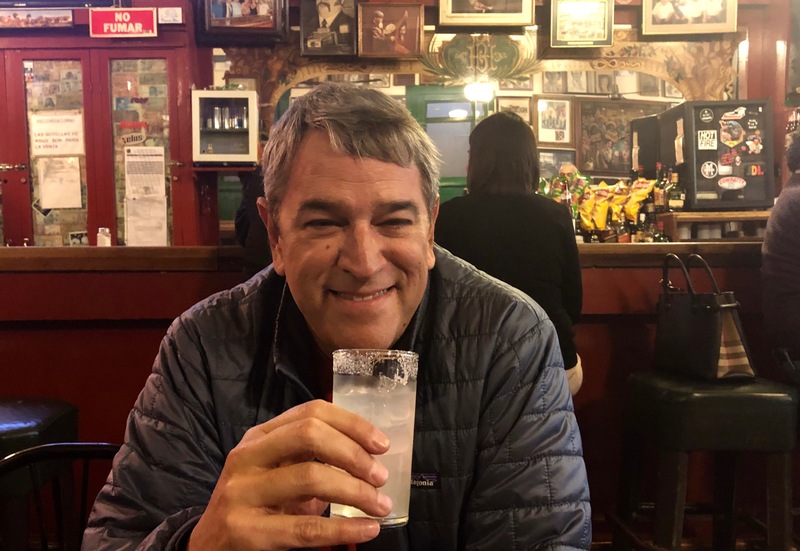 The drink was a big hit, the ambassador’s daughter was named Margarita Henkel, and the rest is history. 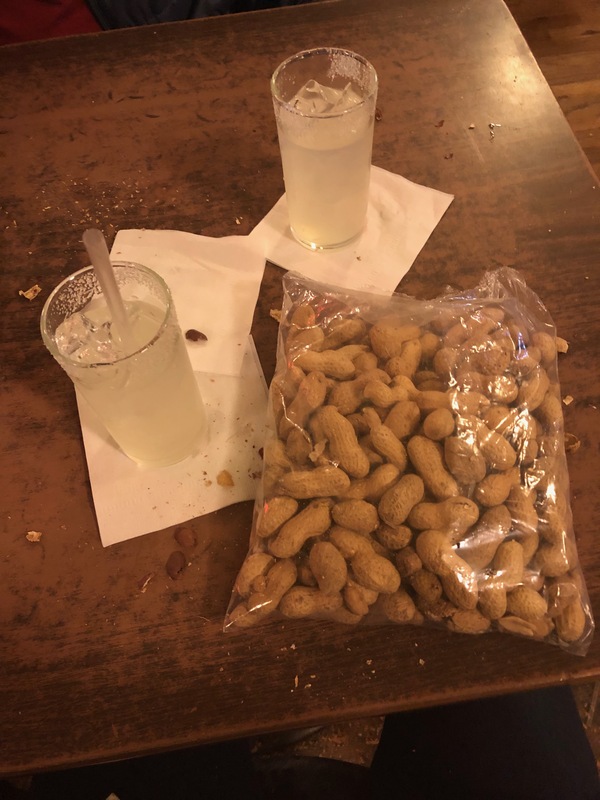 The Margaritas were strong and good, the peanut shells go on the floor where the occasional pigeon comes by to sample them and the bar has old photos and lots of patina. The next day as we headed out of town we did one more bit of shopping. 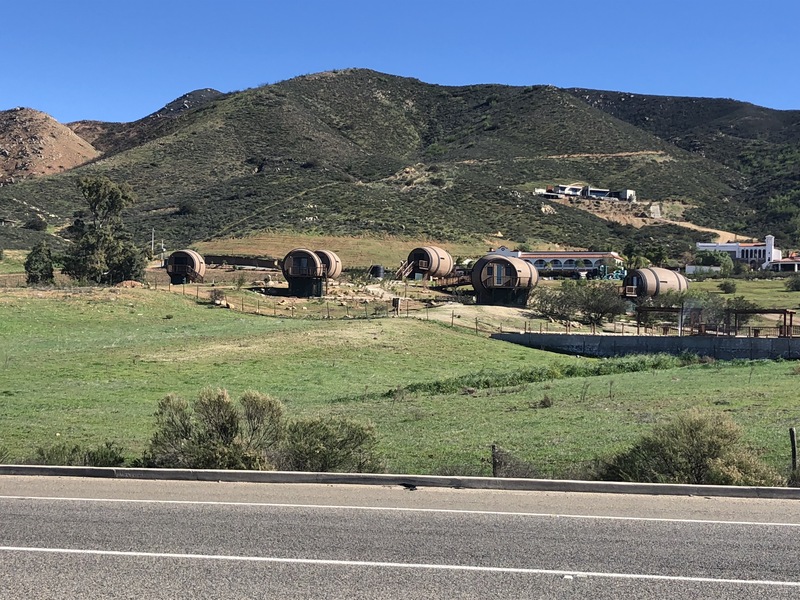 South we go … next stop, San Quintin! 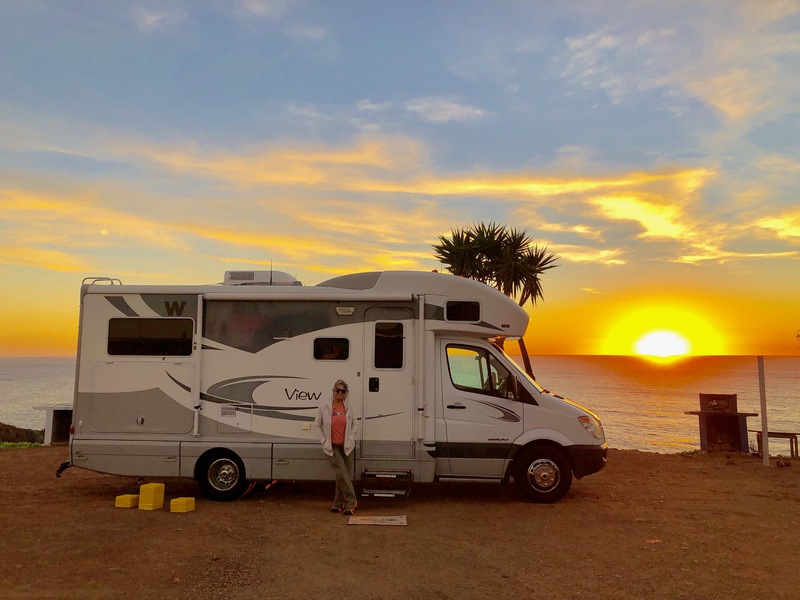 This entry was posted in Campgrounds, Mexico, RV fulltimers and tagged Cities, cliffs, farmers markets, sunsets by islandgirlwalkabout. Bookmark the permalink. It is so nice to see you on the road again and read your blog. hope to see you in late March! Spent a couple nights in the RV park adjacent to the Old Mill in San Quintin with my dad on his bucket-list trip to Mulege. Nice fishing off the island and the English Cemetery was fun to explore. Looking froward to that post. Any pictures of the ‘blow hole’? Guess that will be in the next post. Fran and I would go down for volleyball tournaments in Rosorito and Ensenada – back.in.the.day. Miss those days! We really didn’t explore San Quintin except for the beautiful beach we were in front of (see next post). Will be in Mulege in a few days, very excited. We went to the blowhole during low tide and it was pretty puny. Someone spent a long time creating the shrimp display. 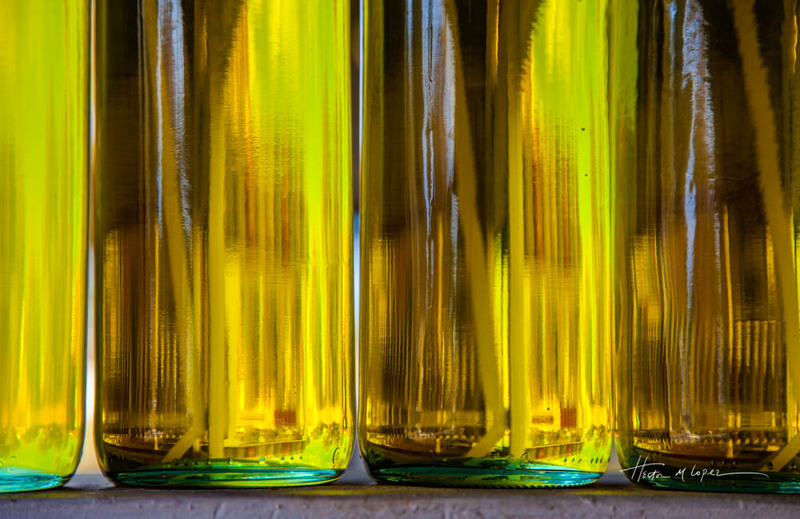 Glad you brought some home with you:) The jars of olives look amazing! What beautiful scenery! This is a very special journey. Several of the displays were quite intricate! Wait until you see our post on Bahia de Los Angeles – stunning place. The scenery and the food has me longing to take another trip to Mexico. lol, you know where you have to go on your next trip though!